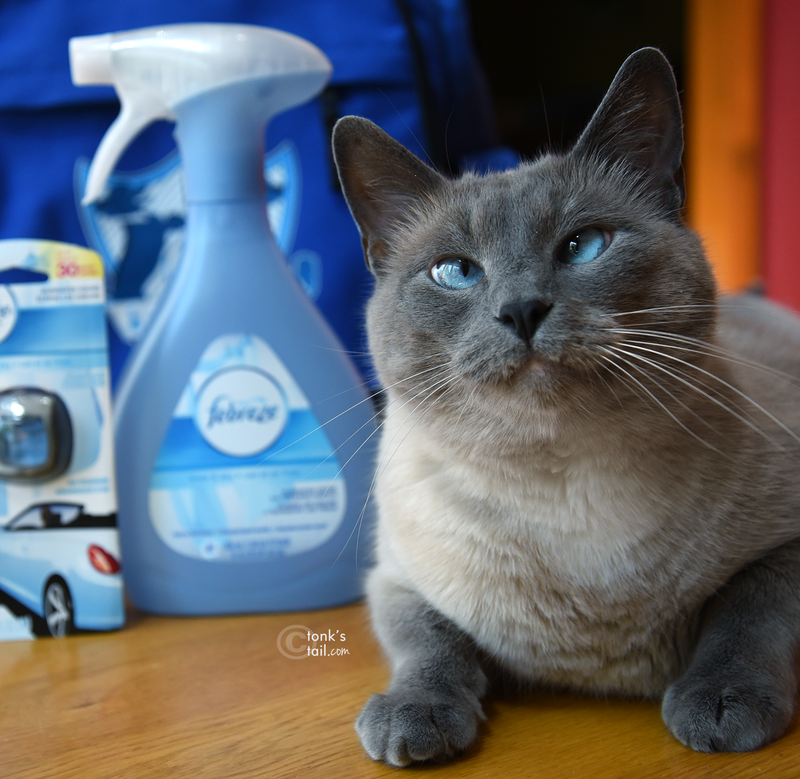 This post is sponsored by Febreze ™ and the BlogPaws Professional Pet Blogger Network. 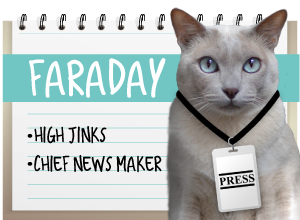 I am being compensated for helping spread the word about #Petiquette but A Tonk's Tail only shares information we feel is relevant to our readers. Febreze is not responsible for the content of this article. 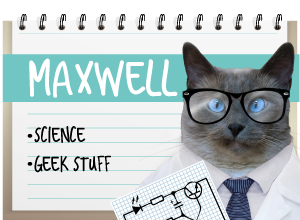 Many of you know I write health and science articles for Catster Magazine. And in the past year, I've talked a lot about toxicity with household chemicals such as dryer sheets and some potpourri oils. 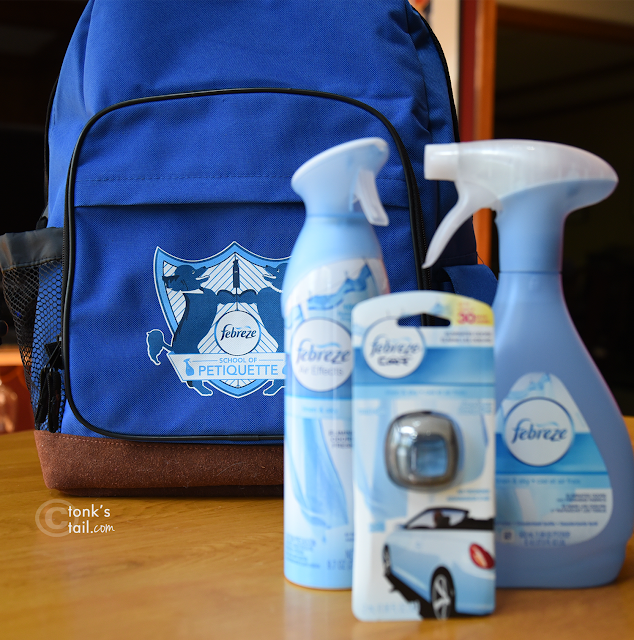 So before I agreed to participate in this campaign, I wanted to know a bit more about Febreze™. 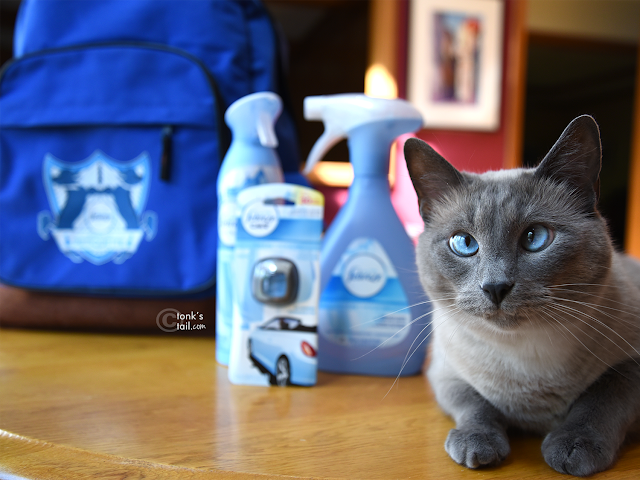 What I found in Procter & Gamble's MSDS* and from veterinary toxicology experts at the ASPCA Animal Poison Control Center was refreshing: Febreze is safe for use around pets. 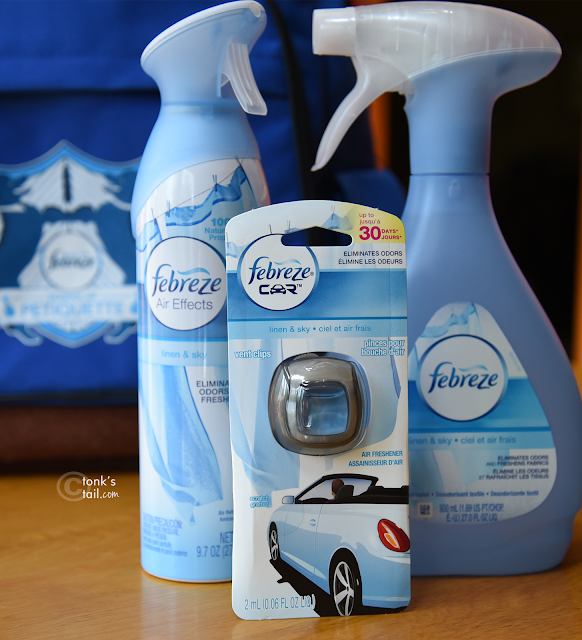 When the product samples arrived, I was happy to learn that Febreze doesn't just mask odor, it actually works to eliminate odor as well. Being an owner of three cats (and four litterboxes) I try not to become desensitized (or as they call it, noseblind!) to associated odors. And it's not just because it would be offensive to human guests we might have over. I know that my cats' sense of smell is 16 times more sensitive than my own, meaning those litterboxes are far more offensive to them than they are to any visitor. Cats have 80 million smell receptors. Humans only have 5 million. Big difference! So, while it's important to know what I think about this product, it's equally important to know (well, make an educated guess?) what the cats think about it. to the Febreze School of Petiquette? The folks at Febreze created a Petiquette curriculum to help "noseblind" pet owners consider the myriad ways their own pets - and human guests - might find things a bit more pungent than their tastes would prefer. Which Allie and Maxwell found fascinating. Something tells me they're about to send me (back) packing. 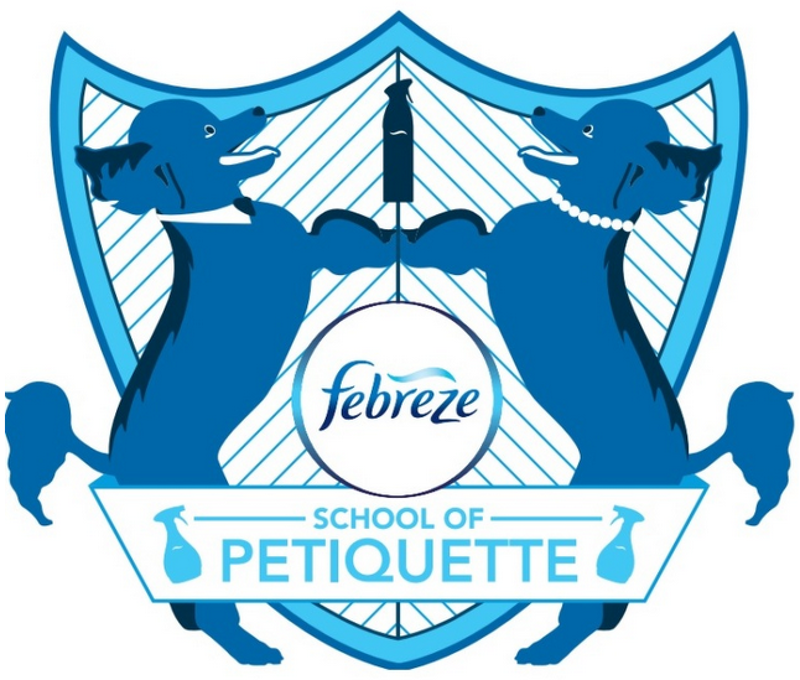 Back to Scent School, that is. Allie: I think we need to stage an intervention, Maxie. You go first. Allie: Just stick to the script, Maxie. Allie: The truth sometimes hurts, Maxie. In this case, it hurts my nose. As I was saying, a rather pungent user, and some of us kitties would appreciate a bit more odor control down there. "Scoop out your cat’s litter box regularly as needed, and empty, scrub and refill it with fresh kitty litter weekly. Keeping to this schedule will reduce the gross-out factor for your guests while also keeping Socrates in fine fettle. 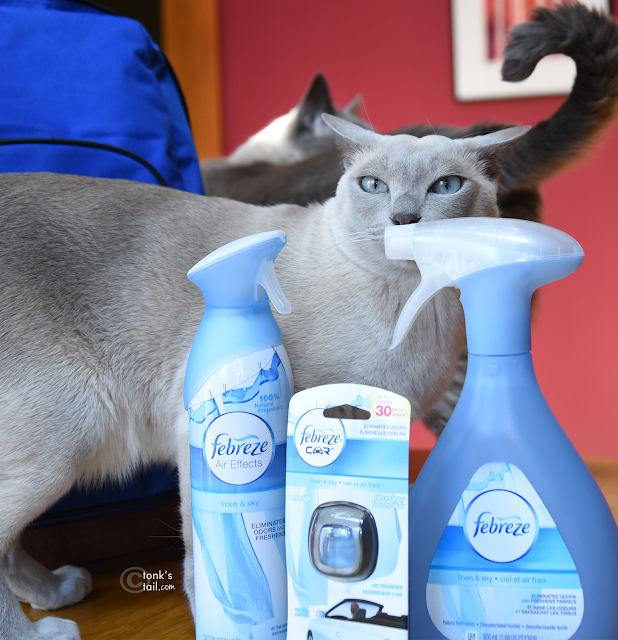 In between cleanings, ensure the area near the litter box smells is odor-free and fresh with Febreze Air Effects. Your philosophical feline will feel right at home." And I'll go one step further: if our cats are 16 times more sensitive to smell than we are, and if their litterbox is offensive to them, do you think they're going to use it? One of the top reasons cats are relinquished to shelters is because of "improper elimination." How much of this is really their fault?? Would the number of shelter cats drop if we simply got this message through to pet owners? I took the Febreze Air Effects aerosol can down with me to the litter area, and have been using it after I scoop to freshen the area. I like the results. I tend to do it when the cats aren't around to allow the fragrance to dissipate a bit before they are exposed to it. I like it a lot more than what I had been using, which was a basic disinfectant spray. "When Jake’s got to go, he’s got to go! Even if it’s pouring rain and you have guests arriving at any moment. After he comes in from the rain, give your kitchen and areas where guests will gather a few sprays of Febreze Air Effects to eliminate the soggy smell of wet dog and leave behind a light, fresh scent." Faraday: Who knew our wool rug was named Jake, anyways? Faraday: Seriouslies, Mommy. Maybe the rug would like these doggy treats? Cuz it sure smells like one on a hot, humid summer day! Faraday's right. We might not have a dog, but sometimes you'd be hard pressed to know it. During the hottest, most humid days the Midwest can dish out, our 8x10 wool rugs (and we have three of them!) smell like wet dog. 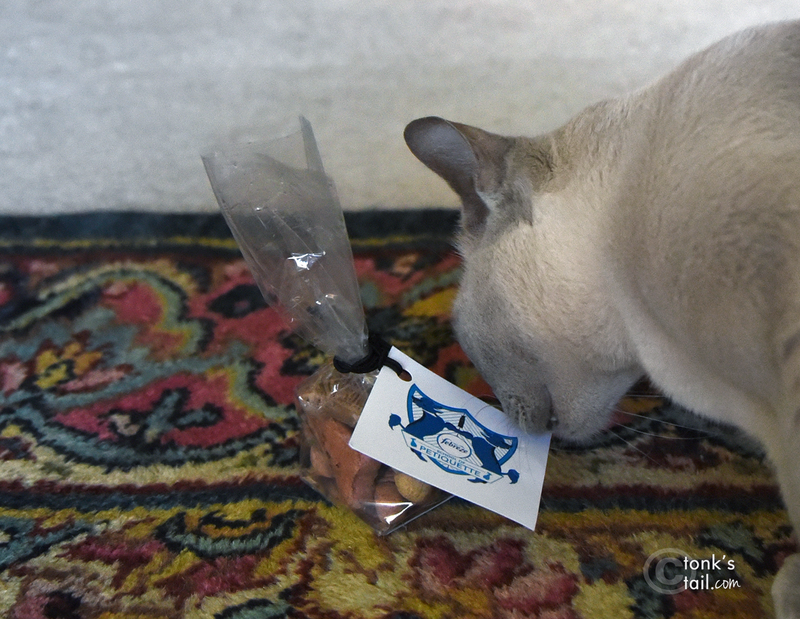 No wonder Faraday brought it the doggie treats! I mean, could a little odor eliminator one in a while hurt, Mommy? Febreze definitely helped minimize that wet-dog smell. But wait til I'm out of the room. I like what it does to kill odors but I'm not really into fragrances. 'k? 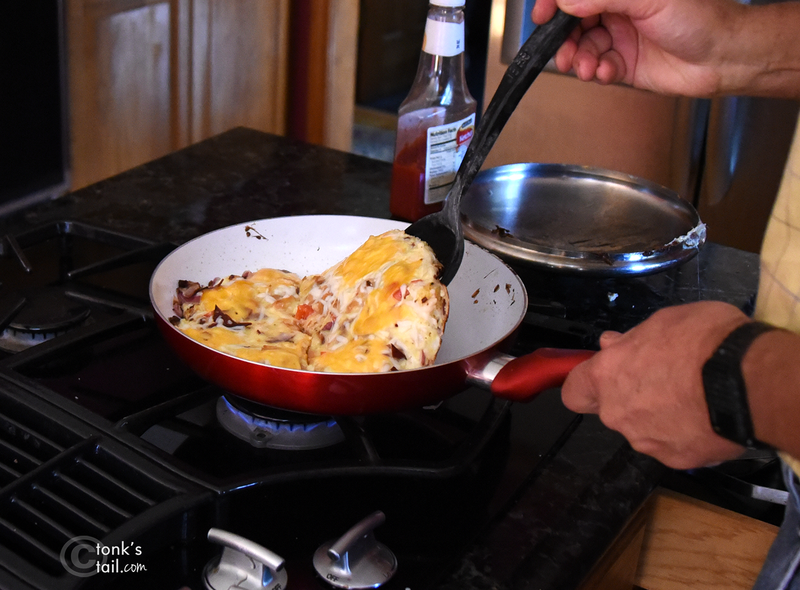 On any given day, Marty's cooking. And I'm cleaning. And the smells linger - often for hours. 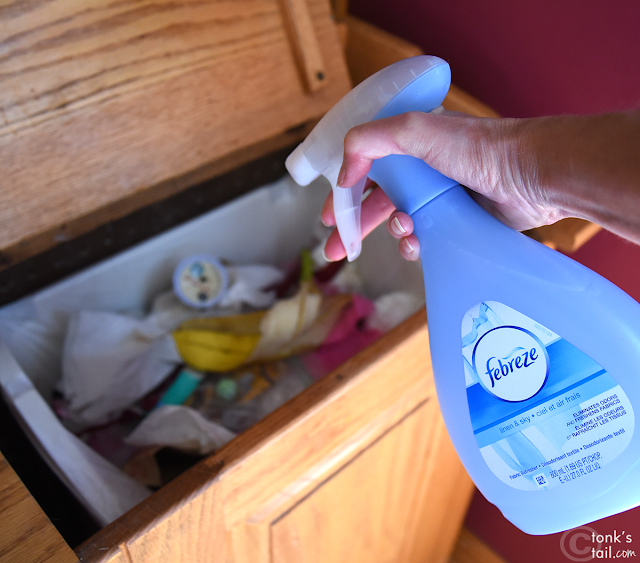 I'm also using Febreze in my kitchen - especially in the trash - to manage food odors. *snif-f-f-f* Ahhh, now that's more like it! 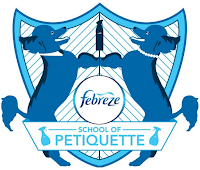 Want to learn more about the Febreze School of Petiquette? You can follow them socially! My human was wondering about how safe Febreze was for us kitties! I'm glad you covered that. I'm so glad you clarified the question about Febreze's safety...I'll definitely be looking into it now! 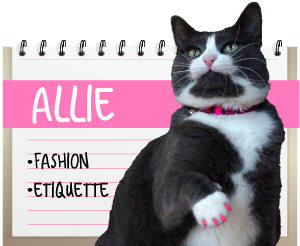 Poor Allie...I'll bet those brothers of yours are quite pungent MOL!!! Stinky earned her named - that's all I'm going to write. I can't remember a time that we didn't have a can of Febreze in the house. With kids, dogs, and life in general, it is a must-have! 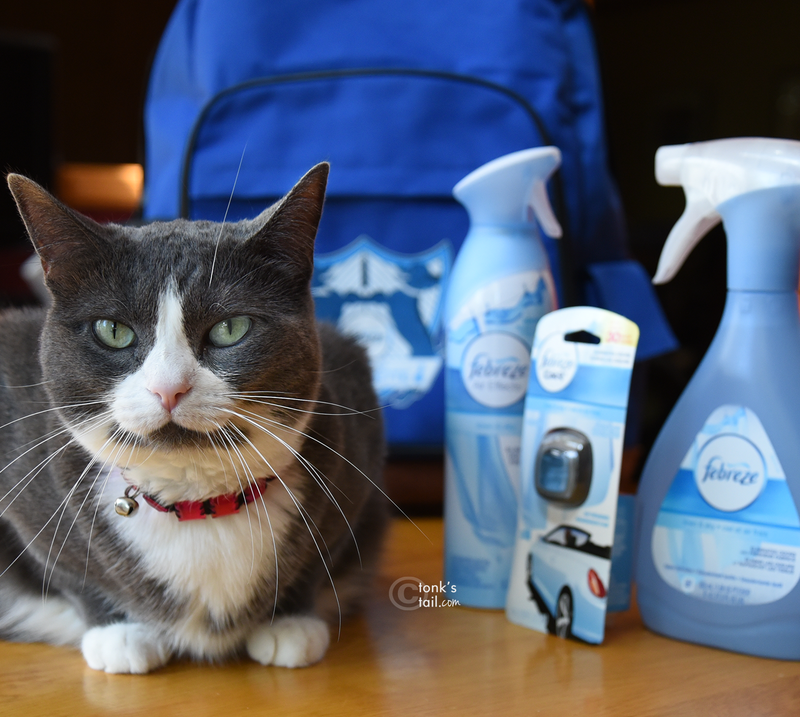 That is really good to know that febreeze is safe around pets! I like their products a lot. 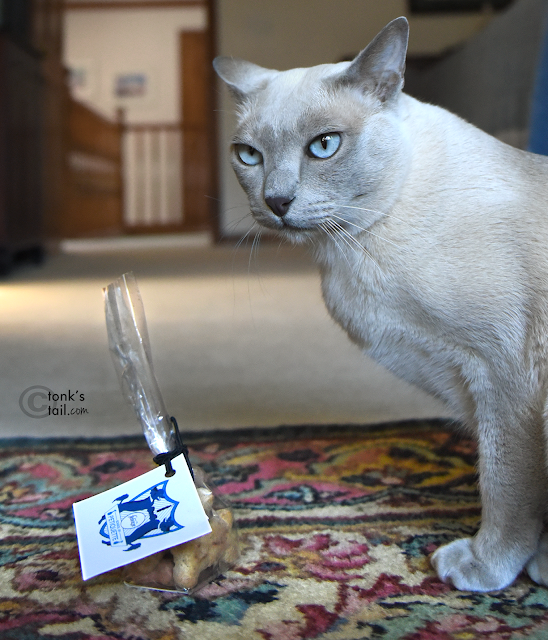 My cat bro Bert says not to knock the dog treats as he eats them if we leave them unattended. As for pet odor in the home, all the stink has to come from the cats at my house as I know my sisters and I always smell wonderful ;) We constantly work on it rolling around in stuff when we are outside. My mum says that is good to know. She uses Febreze for the rubbish bins and dad's trainers. She is going to use it for my litter boxes too from now on. 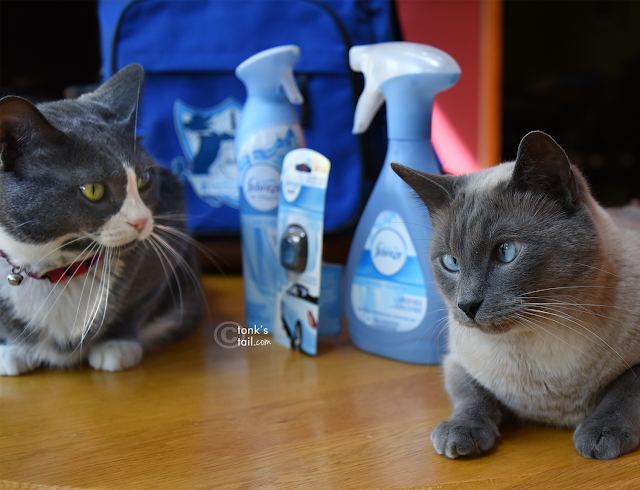 We were very happy to learn that the ASPCA has approved Febreze as being safe for pets. That was the single most important factor in our decision to participate in this campaign as well. We didn't mention it in our post, but we've really been loving using it for our kitchen garbage can too! TBT doesn't go fer weerd scented stuff. He says he wants his nose ta werk as good as possible. In fact, he makes his own aftershave spray with no smells so he can better smell the smells that matter. 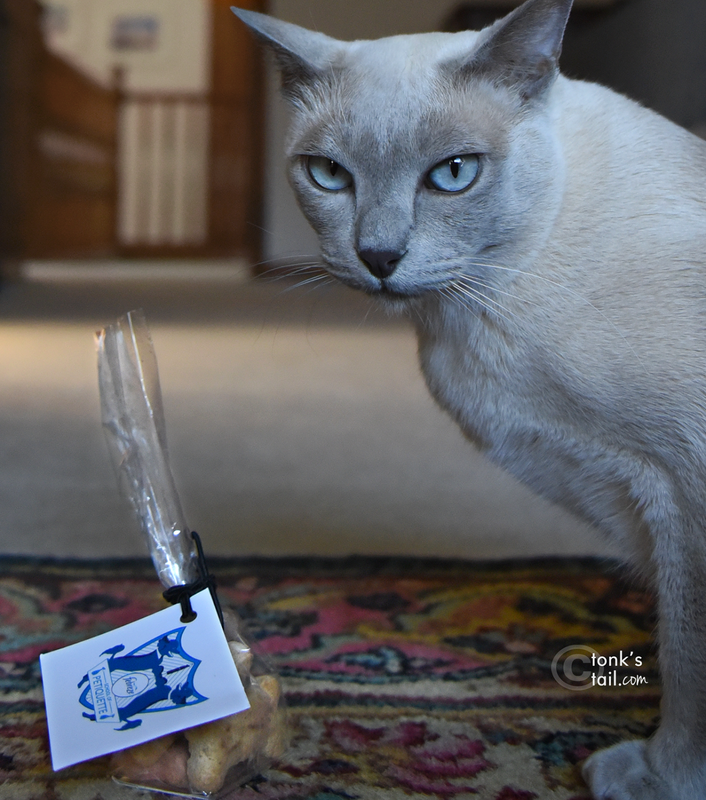 Thanks for stopping by the Gotcha Day party this week. We use Febreeze in the car! So glad to hear that Febreeze is safe around the animals. WE us it a lot on the empty cans for the oder. It works great. Great post and very interesting. Excellent review, Allie and Maxwell! Our mom swears by the fragrance-free version and is glad you mentioned that one! Excellent report pals. I'm happy to know the product is safe for kitties. M said she'll put it on her shopping list. Well, Dumb M never did put it on the shopping list, so I'm happy you published this again as a refresher for human brains that need to be deodorized too. I'm going to watch her put it on as soon as we are done with this comment. I think there is a newer post, but crazy M always gets c confizzled when she goes into Google++ - she doesn't know her way around there at all. Thanks for visiting my blog and forr the purrs - we appreciate it.